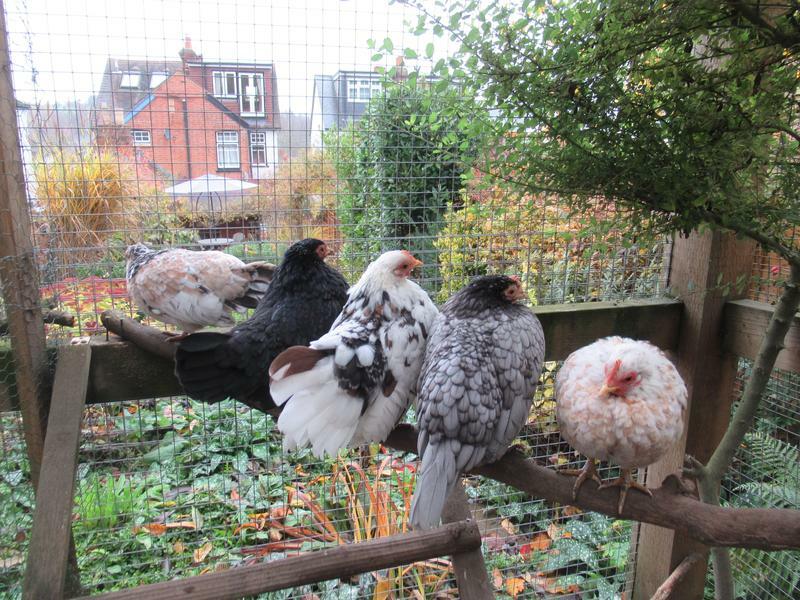 The flock has evolved from big girls to big girls and bantams to bantams and seramas. In future I only see myself adding seramas to the flock so I thought it was time to start a new “history of the flock”. From left to right we have Speckles and Emerald and then Dandelion, Freckles and Cinnamon. The flock felt very small and I really wanted to add some new girls. It took me a while to find a breeder that had some girls for sale. 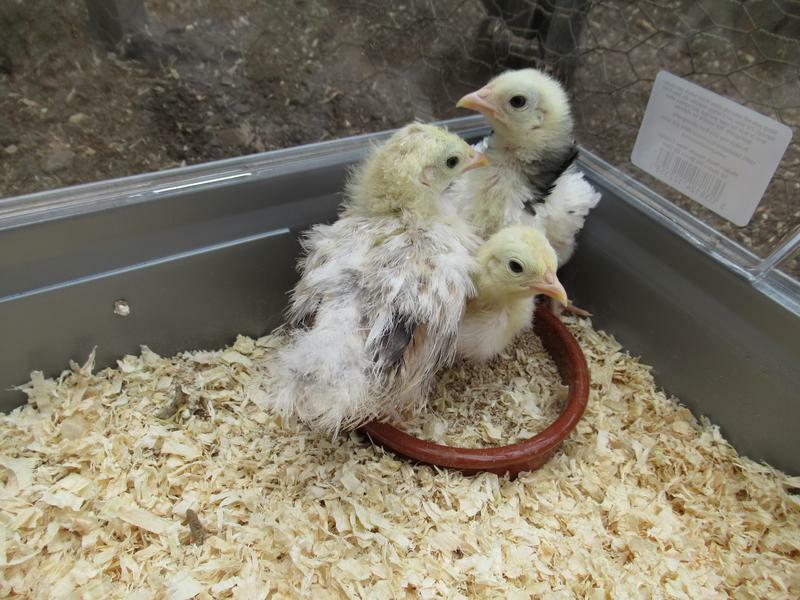 On 20th May 2018 we bought home three, two month old, serama chicks to take our flock of five to a flock of eight. 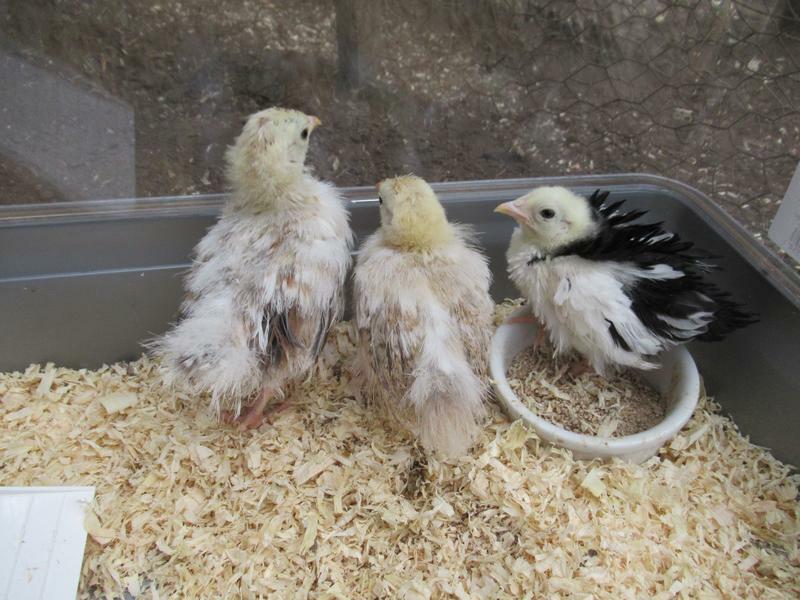 They were two silkie feathered and one frizzle feathered. 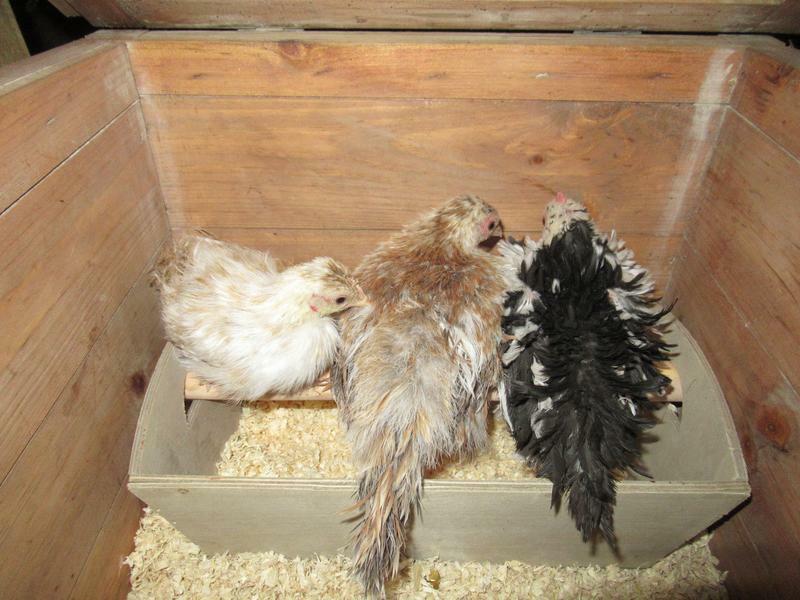 Going with my on going descriptive theme for names I have named the Frizzle Blue and the silkies Lemon and Jasmine. They were so tiny that I had to buy a hamster cage for them. I thought it would be good to show of a photo of them during the first few days to show how tiny they were and then update as they grow. They were constantly feeding and were growing very quickly. 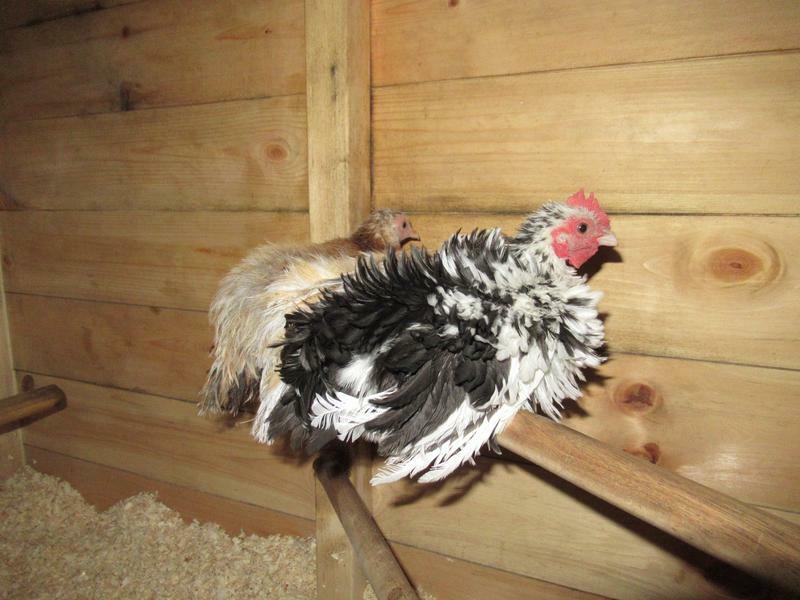 In this photo I was trying to teach the chicks to perch at bedtime. I also decided on a name change. 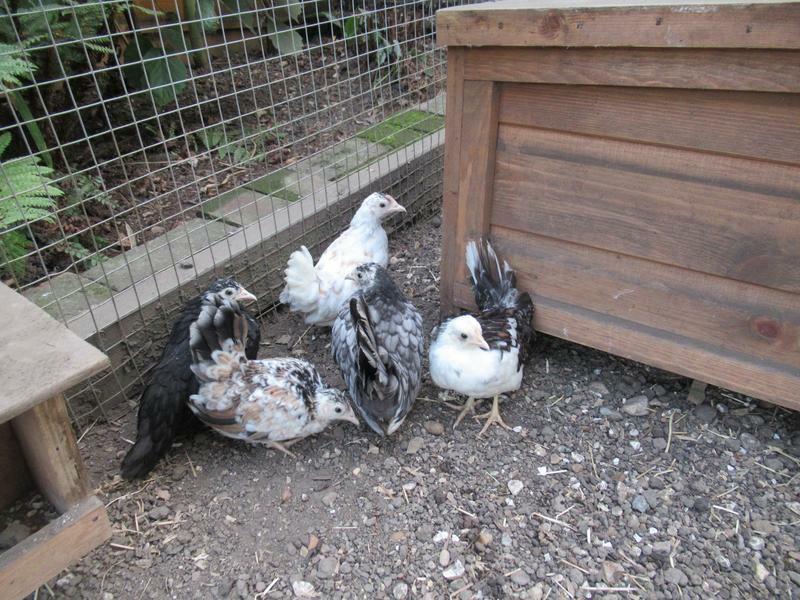 I had named them for their colour but Lemon in the middle of the photo no longer had any lemon colour and her feathers had changed to rust/gold. I changed her name to Sienna as I felt it suited her better. Sadly on 30/6/18 we had to have Freckles put to sleep. She had been laying soft shelled eggs and eventually had a slight prolapse and a soft shelled egg partly trapped inside her. I cleaned her up and removed the egg from her and replaced the prolapse but she didn’t recover. She stopped eating and was sitting, hunched, with her eyes closed. I couldn’t let her suffer any longer. It was heartbreaking to lose another girl a week later. On 8/7/18 we had to have Emerald put to sleep. She was our first elderly girl of about six years old and had always been a favourite. She had been slowing down and showing her age for a while. One weekend she looked as if she was really struggling with the heat and was then wobbling as she walked. I realised she was weak and hadn’t been eating properly. I could only get her to eat chopped grape. She got weaker and weaker and I had to take her to the vets as I couldn’t let her suffer. The vet did a thorough examination and said that she had a large, hard, lump behind her abdomen which she thought was a tumour. The kindest thing was to put her to sleep. I was so sad to lose my beautiful gentle girl. A week later on 15/7/18 we went to see the breeder we got Emerald from to see if we could get another black game girl as a companion for Speckles. 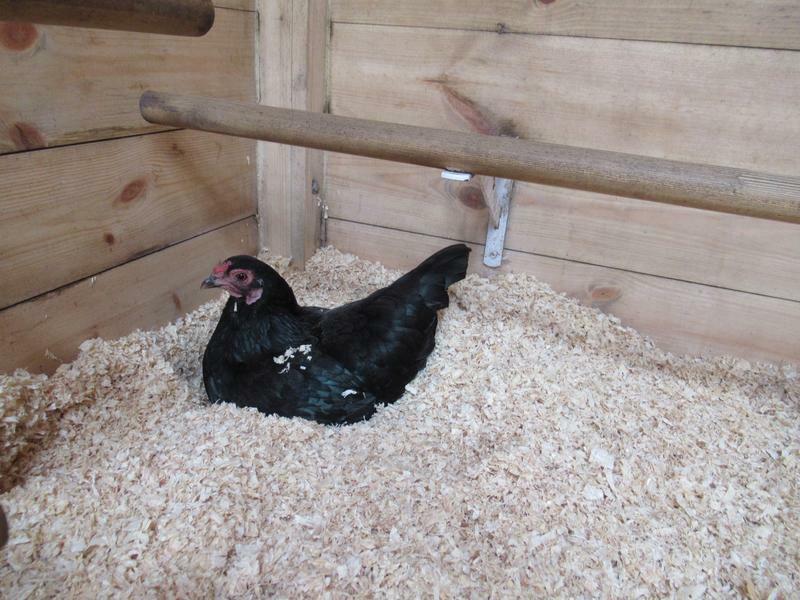 We bought home Ebony who settled into the flock straight away and even surprised us with an egg on the first day. I showed the farmer photos of my flock on my phone. I showed him the chicks and said I had bought them as three hens but one of them had turned out to be a cockerel and had woken us up at five o’clock that morning. I said that our neighbours wouldn’t be happy about this and we were worried about complaints. The farmer said that as part of his job he was used to culling cockerels and we could take Blue to him. It was a heart breaking decision but as re homing was not possible due to the mycoplasma in my flock we felt that we had no choice. We won’t ever have chicks in future as we can’t risk this happening again. It is so sad but Ebony has bought some joy back to our flock and we have to stay positive and look to the future. 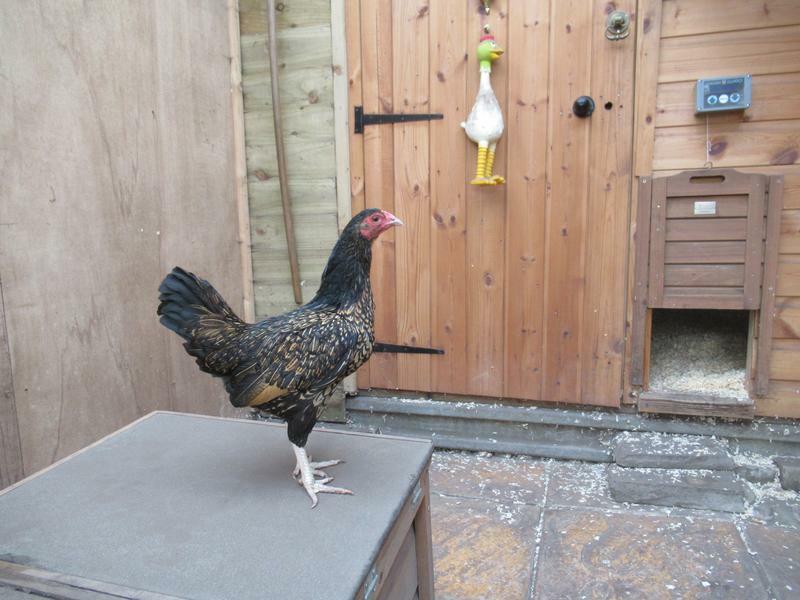 Five days after we added Ebony to our flock we went back and collected another game girl. On 19/7/18 we bought home Flame. It had been so easy integrating Ebony that we decided to it again. 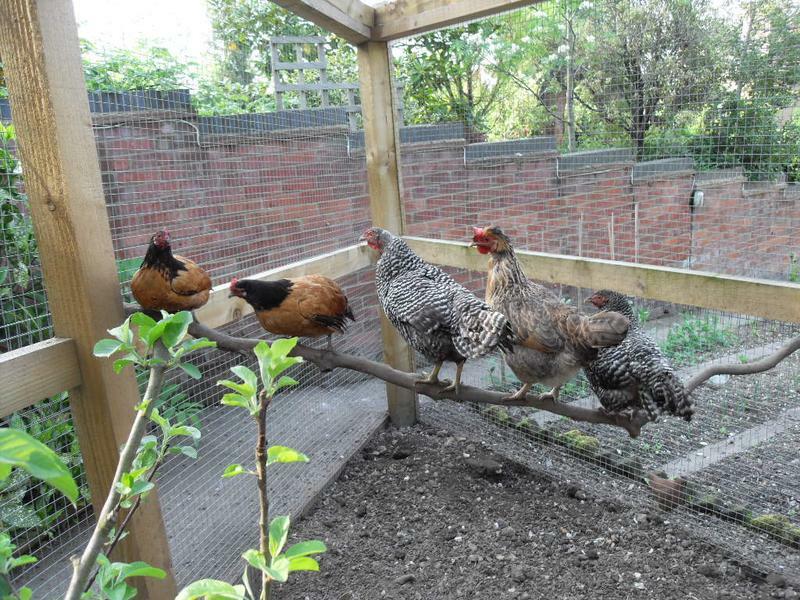 If we had of bought the two in together they would have been bonded and Speckles would have still been on her own. By bringing them in one at a time we felt that all three girls would be on an equal footing. What a beautiful girl and the only girl to chase her a bit was Ebony. 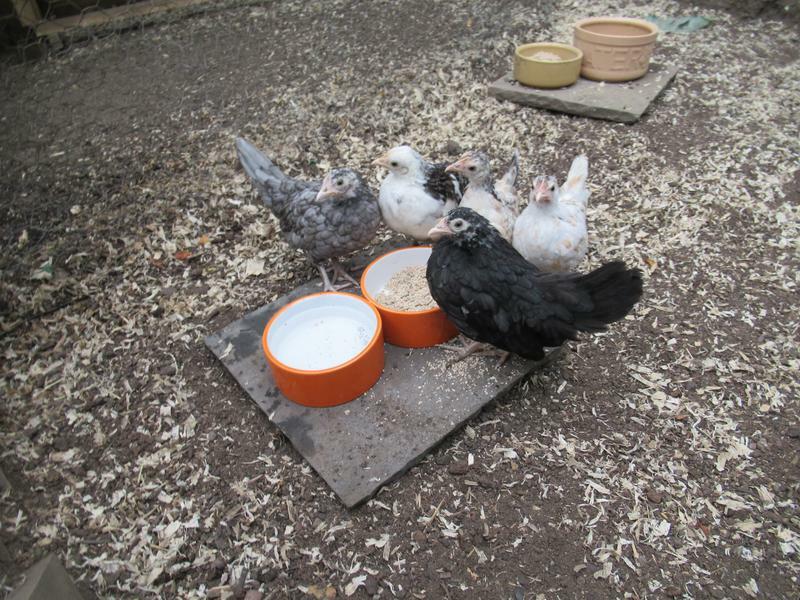 Ebony had had five days as bottom girl, apart from the chicks, and made sure that Flame was now in bottom place. Once that was established they settled easily together. Our flock was now at seven girls. On 22/8/18 we added another five seramas. 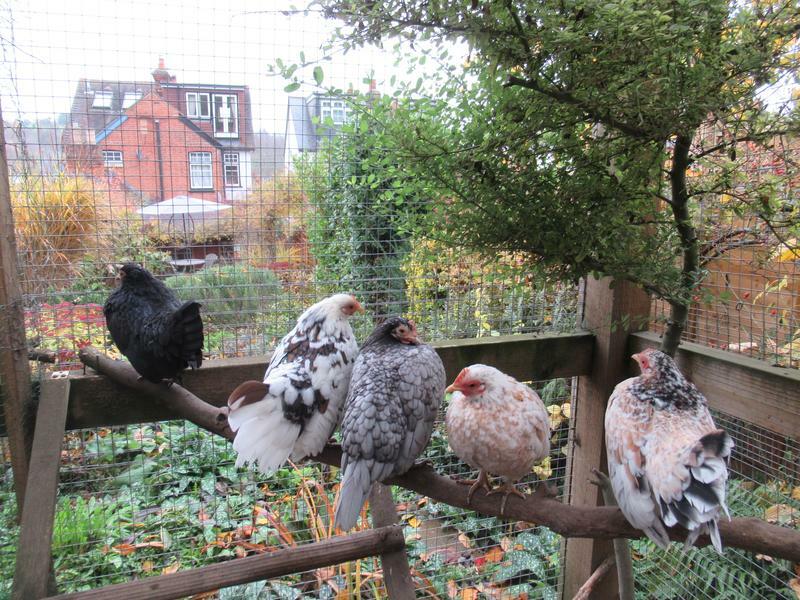 They were two and a half months old, straight feathered girls in assorted colours. I continued my theme of descriptive names. Marmite on the left with Salmon next to her, Vanilla at the back with Smoke in front of her and Spangle on the right. From left to right we have Smoke, Spangle, Salmon, Vanilla and Marmite. Within five days they were integrated with out any problems. It had been so easy. We were now a happy flock of twelve. 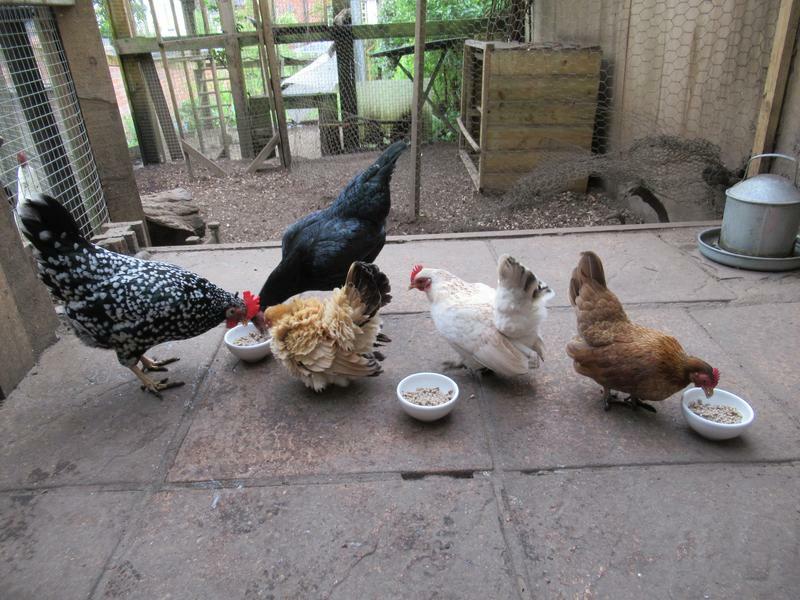 We have from left to right, Marmite, Spangle, Smoke, Vanilla and Salmon. Five very pretty girls. Sadly on 13/4/19 we had to have Dandelion put to sleep. She had been struggling to lay her eggs and on this day was sitting with her eyes closed and her breathing was laboured with her chest bobbing up and down. Dandelion was such a lovely girl and is very much missed.